Wireless Proximity Sensors – Sensors to detect contact between two wires or proximity detection with a magnet. 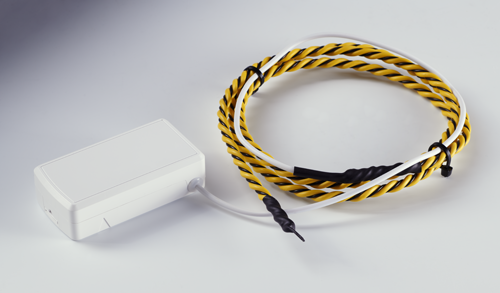 The wireless water rope sensor uses a water rope to detect the presence of water or other liquids. If any point along the rope becomes wet, an alert is sent to the wireless network. An Armored Sensor™ IP67 weather-proof version is also available for outdoor and industrial use. 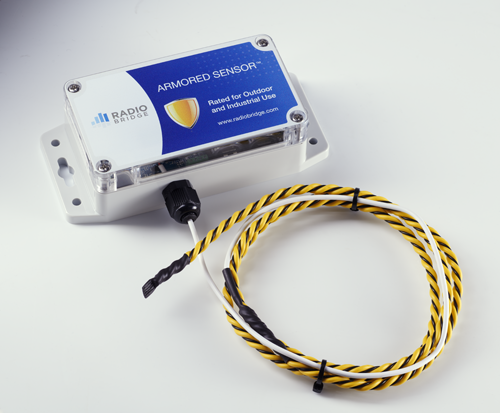 Radio Bridge provides a convenient web-based console where you can configure your sensors, monitor activity, set up alerts, and more. If you are buying products that require a data plan, you can buy the plan right on the console. If you are using sensor products that do not require a plan, the console is available for free. Click on the link below to get started. Some situations require data plans. See the sections below, and contact us for volume pricing. 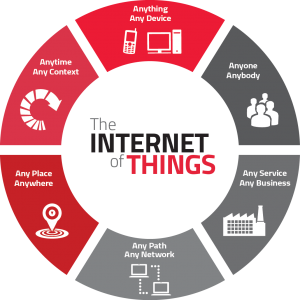 Radio Bridge Inc designs and manufactures long-range wireless sensors for the Internet of Things (IoT) industry using emerging wireless standards such as LoRaWAN and Sigfox.